We are fortunate to have partnered with great experts in the industry who have been successfully working with families and nannies for years. 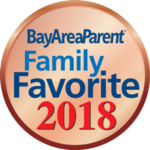 Please see below our team of recommended resources who are happy to help you maintain a successful employee/employer relationship with your Bay Area Sitters. HomePay, Provided by Breedlove, is the nation’s leading provider of payroll and tax services for household employers. They have served more than 55,000 families across the country and processed over $3 Billion in household payroll. Because they’ve spent the last 22 years completely focused on this highly-specialized area of tax law, they’re able to manage it for their clients with a level of expertise and efficiency that has been heralded in The Wall Street Journal, Forbes, The Economist, Business Week, SmartMoney.com and Kiplinger’s. Legally Nanny® is the leading law firm providing legal and tax advice to household employers. We assist household employers in hiring nannies, elder care providers and other employees legally; draft employment, confidentiality and severance agreements; and resolve and defend disputes involving household employees or government agencies. We offer a flat fee package that provides the legal and tax services you need to hire and pay a nanny or other household employee legally. Attorney Bob King is the Founder of Legally Nanny, and he has served on the Board of Directors for the International Nanny Association and serves as General Counsel for the Association of Premier Nanny Agencies. Legally Nanny has been featured in The Wall Street Journal, CNN, ABC News, USA Today, The Los Angeles Times and California Lawyer. For years, Dr. Lindsay Heller has provided guidance and support to families all over the world in regards to their relationship with their nanny. As a former nanny of 10 years, licensed clinical psychologist and now a mother that employs a nanny, Lindsay knows the ins and outs of the nanny world like no other. Through her unique services, Lindsay provides families with step-by-step guidance throughout the entire nanny hiring process. As an outside objective third party, Lindsay is able to assess the situation from all angles and provide a specific solution to the needs of the families seeking her help. Lindsay is based in Beverly Hills, California but her services are available worldwide. She works with families in her Beverly Hills office, in private homes, board rooms, on set, or over the phone/Skype. PFC has been providing background screening services to Nanny Agencies, Eldercare Agencies, and Domestic Staffing Agencies since 1987, and is the oldest household background screening company in the U.S. PFC combines an old-fashioned concern for quality with cutting edge technology to provide comprehensive and accurate background checks. PFC’s credentials in the background screening industry are impeccable. They are a founding member of the National Association of Professional Background Screeners (NAPBS), a charter member of the Public Records Retrievers Network (PRRN), and a member of the Association of Independent Information Professionals (AIIP), the California Association of Licensed Investigators (CALI), and Concerned CRAs (CCRA). Amslee Institute is the leading online, specialized training and certification program for Nannies and Sitters. With 5 programs that advance with a childcare providers career, Amslee Institute offers students the flexibility to work when and where they want with online enrollment and program completion. Faculty members are experts in their fields and include child psychologists, nutritionists, teachers, athletic coaches, physician assistants, and professional nannies. Students are supported throughout their learning process chat boards, live webinars, and personalized career coaching. Earning a certification from Amslee Institute communicates a commitment to providing high quality childcare and qualifies students for premium jobs. Enrolled students get free access to job placement courses including resume writing, interview skills, job search strategies, and how to negotiate compensation. Students may gain additional support in their job search by engaging with one of our affiliated nanny agencies. Students must be at least 16 years old and currently enrolled or have completed high school (or equivalent). To graduate with a certification, students must have CPR and First Aid certification, references, and for most programs, documented paid childcare work experience. Amslee Institute is licensed by the Florida Commission for Independent Education, License No 5951 and is a member of the International Nanny Association.